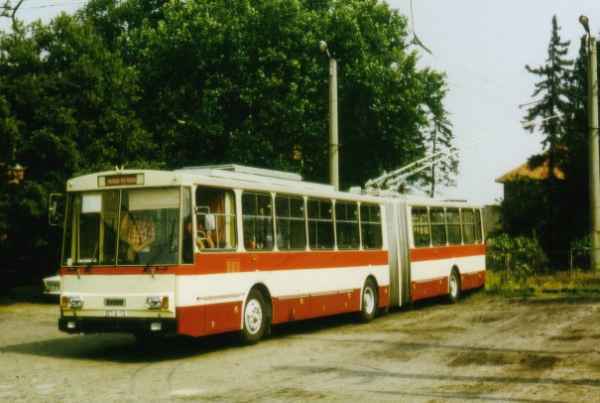 An articulated trolleybus of the Czech type ŠKODA 15 Tr with the car number 532 from the public utility Usti n. L., ČSFR was in the period from 28 July 1989 to 07 November 1989 to test purposes in Eberswalde. The foto shows the articulated trolleybus of the Czech type ŠKODA 15 Tr at the depot Eberswalde/Bergerstraße. 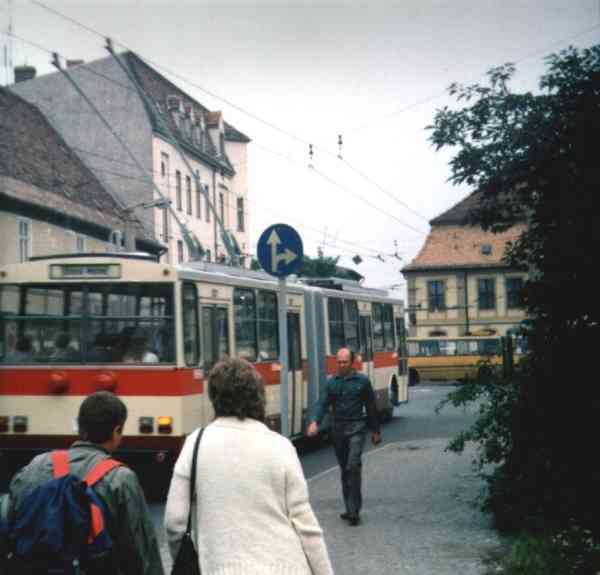 The picture shows the articulated trolleybus of the Czech type ŠKODA 15 Tr at the bus stop Ludwig-Sandberg-Straße on the Eisenbahnstraße going direction to Karl-Marx- Platz. 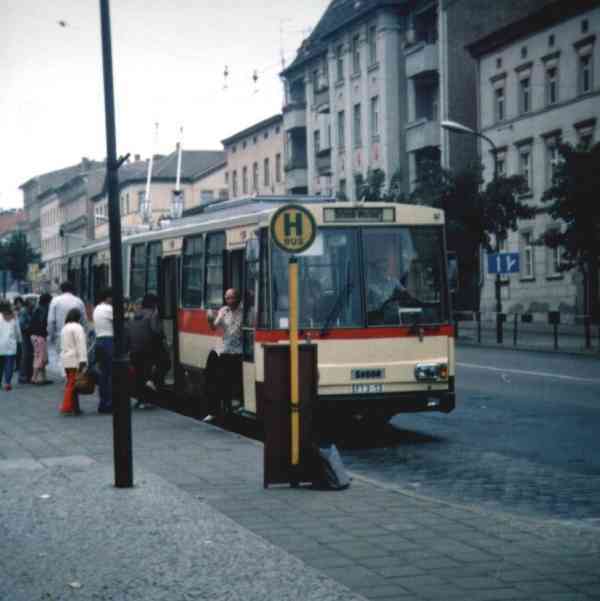 The picture shows the articulated trolleybus of the Czech type ŠKODA 15 Tr after the bus stop Platz der Freundschaft (today: Markt) going direction to Ostend.